Once I got my paper route, I would read the paper at about 4:30 a.m., before I hopped on my bike to deliver the papers. If a space flight was approaching or under way, that would be the first story I would read. 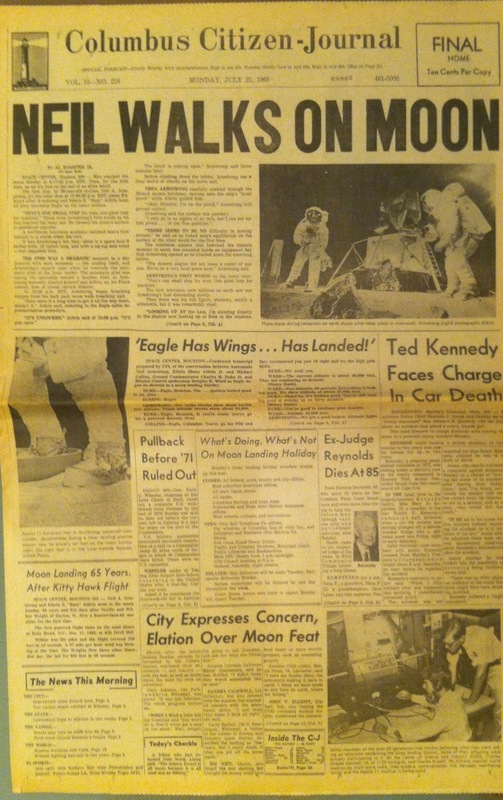 When Apollo 11 took off for the historic first moon landing, I was riveted, charting its progress daily on Walter Cronkite‘s newscasts and in the pages of the Citizen-Journal and the afternoon Dispatch. 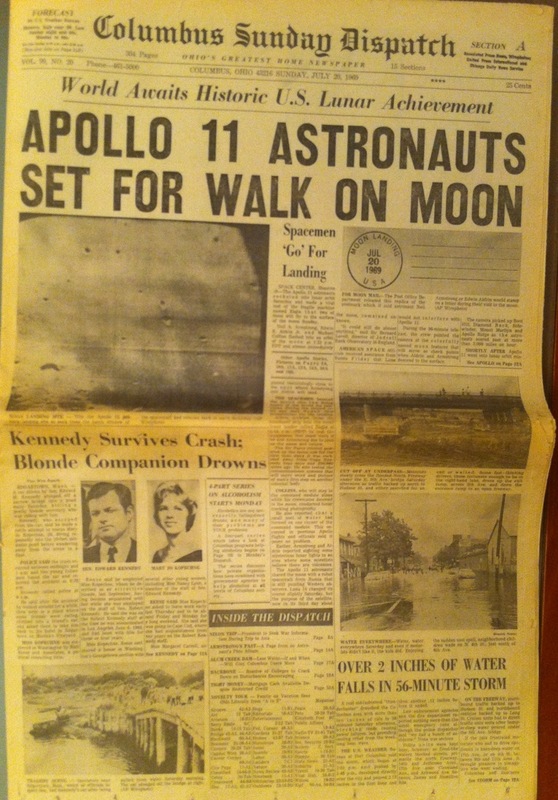 For my Columbus newspaper, Armstrong was not just a national story, but an Ohio story. Neil was from the town of Wapakoneta. He was as humble a hero as America has had. Glenn went on to become a U.S. senator (I heard him speak at Ohio State University on Earth Day 1970, making his first run for Senate), run for president and return to space as an old man. 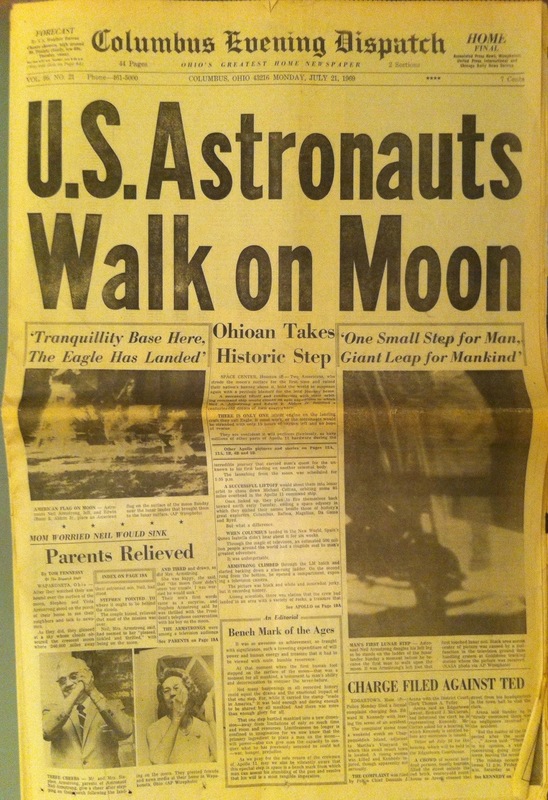 Lovell’s terrifying Apollo 13 mission became a hit movie (with an amusing Armstrong scene). Armstrong, who could have lived the life of a hero or a celebrity, chose a quiet, simple life. He died today at age 82, confused with a rock singer by a major network. Note what the second-biggest story of the day was. The byline on that story was Al Rossiter’s of United Press International. I had begun working at UPI the previous year as a copyboy, marveling at the skills of UPI reporters worldwide. It was the best sort of on-the-job training. Rossiter was manager of UPI’s Cape Canaveral Bureau from 1963 to 1973 and covered the space program for UPI for 25 years. He’s now Assistant Vice President, Duke News and Communications (Duke U).